There are times when ferrying rubbish back and forth to the dump just becomes tiresome, and hiring a skip would be easier. In other situations – completely renovating a house, for example – having a skip delivered is a no-brainer. The great thing about getting a skip is that, other than filling it, most of the hard work’s done for you. However, there are a few tricks of the trade you need to abide by if you’re to avoid hidden expenses and keep the cost of skip hire as low as possible. 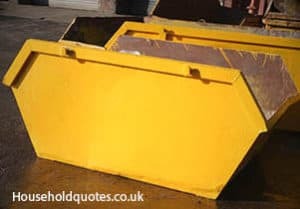 One of the most important things to do before you hire a skip is to work out the size you need. There are several sizes to consider. Mini skips are the cheapest, but be cautious about getting something too small. At just four yards, this is the smallest skip and holds between 40 and 45 average household rubbish bags. It measures 1.29m long by 1.29m wide and is just shy of one metre in height. Costs very between £90 and £130 for a week’s hire with prices a little more in London. The 8 yard skip is the most popular, and will hold between 80 and 90 rubbish bags. It measures 3.66m long by 1.68m wide, with a height of 1.22m. A one week hire will cost between £200 and £250, with prices up to £275 in London. This 12 yard skip holds a lot more – on average, between 125 and 135 average sized rubbish bags. It measures 3.7m long by 1.78m wide, with a height of 1.68m. Prices vary widely across the country, with London skip hire costs at £387. Outside of the capital, you can expect to pay between £250 and £340. If you don’t want to face additional fines and fees, avoid putting restricted items into your skip, even if you’re tempted to hide them amongst other things. Waste disposal sites will go through all the waste products and will soon flag up any items that aren’t supposed to be there. Commonly banned items include electrical equipment, computer and television screens, asbestos, paint cans, plaster board, tyres, batteries and fridges and freezers. Companies may have their own additional restrictions too, so it’s best to make sure you know these before you agree to the hire. Skips have weight limits so that collection lorries are able to safely lift and remove the skip from your property. It’s essential you don’t overload a skip for many reasons, including potential fines and the frustration of having to remove items to lighten the load. In general, smaller skips, like the 8 yard varieties, can be completely filled with heavy items. However, larger skips may have limits. For example, a 12 yard skip might only take 60% light items and 40% heavy items. If you’re uncertain, talk to skip hire companies about the materials you’re throwing away so you can get the right advice. 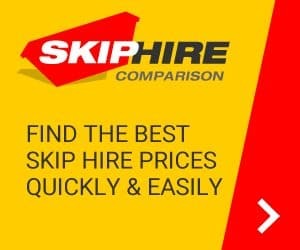 Though it might seem like a good idea to hire a skip from a company that doesn’t have time limits, it actually costs a lot more. After all, firms only have so many skips to rent out. It’s best to choose a firm that offers one to two week hire. If you go over this, there’s often a small fee of a few pounds for each additional day but it can still work out cheaper than unlimited time hires. Finally, there may be some situations where you actually don’t need a skip at all. House clearance specialists deal in removing junk from a home and selling it on; one man’s junk is another man’s treasure, after all. Clearance firms will often take materials, furniture and other items away for free. It’s worth considering this as an option because you might not need to hire a skip at all and can still dispose of many unwanted materials and possessions. Unfortunately, if you’re not able to have your skip delivered on private land, such as a driveway, you’ll need it placing on the roadside and for this, you’ll have to apply for a permit. These vary in cost depending on the local council, but it’s vital to obtain one or risk being fined. Like skip hire, permit costs vary wildly depending where in the country you live. For example, in Manchester, a permit on a residential street could cost just £15. However, a similar street in Glasgow might put you back £51, whilst in Surrey it might be as much as £70.